Link uses quality equipment from 2GIG, GE, and Honeywell, which comes with a three-year warranty. Under warranty, the company is responsible for resolving any device issues and replacing any faulty equipment. You are not cornered into a pre-set package with the hardware you don’t need. Instead, you get to choose the equipment you need, while the cost of each item is competitive (starting at $22 and up to $112), and easily accessible on their website. Link Interactive sensors roster includes your typical sensors for doors and windows, recessed doors, plunger-type wireless doors, bypass door and window contact and motion sensors, tilt, glass break, water leak, heat, smoke and freezer sensors, carbon monoxide, disaster sensors, and heat detector. A basic security package includes a control panel, a keychain remote, environmental sensors, three entry sensors, one infrared motion sensor, a high-decibel siren, a yard sign, and window decals. You can add extra devices at any time. The company offers some advanced sensors you won’t find with other providers, such as a firefighter module and smart motion sensor. The latter comes with an integrated infrared camera that takes a snapshot of an intruder and sends it to your mobile app. Mid- and top-tier monitoring plans feature hands-free voice communication via the control panel. That way, emergency operators can contact you and determine if they need to dispatch first responders. The panic pendant is waterproof and clip-on, meaning you can wear it on a belt, or around your wrist or neck. They are safe to use in a bath or shower and provide an excellent backup for medical emergencies and break-ins. Home automation features include centralized control of lights, temperature, dimmers, door locks, and third-party Z-Wave compatible smart devices you can control via your mobile app remotely. Geo-services enable your alarm system to automatically activate when your smartphone leaves the property. The mobile app allows you to arm/disarm the system, view video feeds, and control smart home devices. Link Interactive has a 30-day money-back guarantee and a full refund, no questions asked. Link’s flexible contract terms come in 12-, 24-, or 36-month flavors. Should you choose to bail early, you must pay the remaining balance on your contract, or at least 75% of it. Standard - $30.99/mo, professional monitoring, cellular connectivity, two-way voice to the monitoring station, intrusion, fire, crash and smash alarm, smoke, fire, and CO detectors. Gold - $35.99/mo, includes all the features of Standard plus home automation features, such as a remote control app, energy management, lights, locks, and thermostat control. Elite - $40.99/mo, bundles all the above features and adds HD video monitoring on-demand and scheduled, and motion-activated video recording.Equipment and activation fee - $0. Note: Link provides a three-year guaranteed rate lock, so your bill doesn’t go up throughout the length of your contract. Link stands out from the crowd with its no-pressure, genuine approach to prospects and customers. You can count on getting the information you need without being pushed into a commitment. This approach – and efficient tech support – has earned the company overwhelmingly positive reviews from its customers. Tech support is available 24/7 via phone and live chat, while the sales reps are available from 7:00 a.m. to 9:00 p.m. MST. Link offers DIY installation guides while the equipment ships pre-programmed and ready for mounting. It’s either freestanding or peel-and-stick, so no drilling is required. The only tool you need is a Phillips screwdriver for the control panel. The control panel and cameras require a power outlet, but also come with backup batteries, which are easy to replace. If you need help, Link’s tech support is live 24/7. Controlling Link’s system is simple with its keychain remote, touchscreen control panel and its robust mobile app. Link offers two versions of control panels - 2GIG Go!Control and IQ Panel 2. Both are touchscreen and have the two-way talk with your monitoring station. IQ Panel 2 has a larger display, supports HD video, and a camera that takes a snapshot every time the system is disarmed. It also costs $200, while the 2GIG panel comes standard with your system at no extra cost. If you buy the IQ Panel 2, you get three door/window sensors and one motion sensor for free, which is still more expensive if you buy the same sensors separately and go with the standard 2GIG panel. But IQ Panel 2 has some unique features, such as data encryption for every sensor, and support for more user codes and sensors. Although the control panel needs to be plugged in, it has a backup battery that lasts 24 hours if the wiring should be cut or during a power outage. A smash and hit protection feature sends a signal to the station should an intruder break the control panel. The Skybell doorbell camera requires excellent WiFi signal, so consider installing a WiFi range extender if your home WiFi doesn’t reach your porch. Link offers “agreement discounts” if you sign a contract. 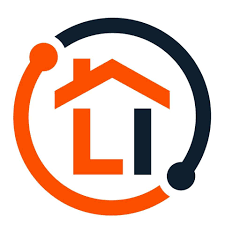 Link Interactive is a top home security provider offering transparent pricing and contract terms, and quality hardware paired with professional monitoring service and excellent tech support. If the tech specs and pricing fit your bill, go ahead with its 30-days trial.